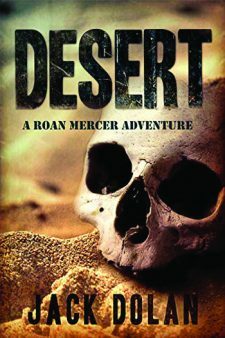 With one eye on saving the hostage locked in Egypt’s Western Desert and the other eye focused on apparent gun dealers that have a run in with the alleged terrorists, Roan Mercer and his band of assassins for hire, soon find themselves caught up in an archeological dig with dire consequences. 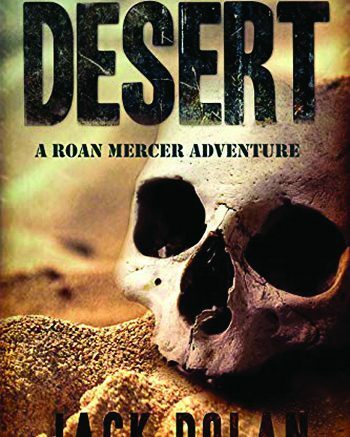 A British archeologist is leading a dig to find the ancient Persian warlord Memnon, whose army was swallowed by a haboob centuries ago; instead, what’s discovered are the remnants of an old English ambulance dating back to World War II—and all in the middle of the gunfight Mercer is caught up in. When it is discovered that the bodies found with the ambulance were of German descent, and research into the lost vehicle shows the cargo was mustard gas, which is now missing, it is left up to Mercer and his soldiers to discover the target that the terrorists are ready to attack and to thwart it before thousands of innocent lives are snuffed out. In an exciting rampage on a mission that could be compared with one that Kurt Austin from Clive Cussler’s NUMA Files would be proud to undertake, Dolan’s first novel is a great stand and deliver thriller that leaves no stone, or dune, unturned. Mercer’s next adventure will be one to tag along on. Be the first to comment on "“Desert” by Jack Dolan"